With bright green stripes on alternating sides of bright yellow gold canes this bamboo makes a dramatic specimen planting. 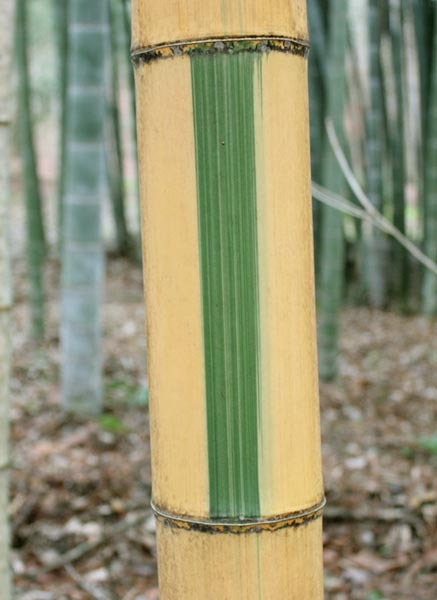 The American Bamboo Society list this as having a max. diameter of 2 inches but my grove has several canes exceeding 3 inches. 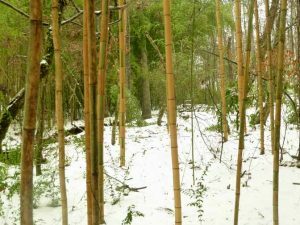 Castillon is a variety of Japanese Timber bamboo and has the same strong canes that are ideal for construction and crafts.